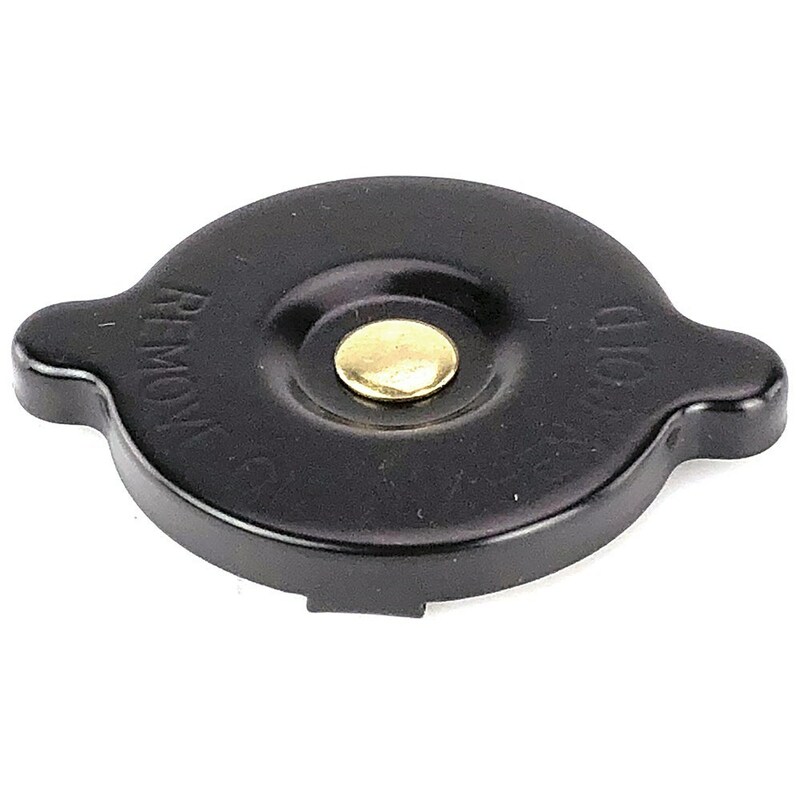 Tough Black Powder coated steel and brass Valveless radiator cap. Rubber lower seal. steel upper seal. 45mm dia. 65mm ear to ear. Overall size 225mm x 150mm x 150mm. 15mm outlet, 6mm bleed, 8mm overflow outlet. Max dia 56mm. Spigot dia 30mm. 25mm high. Use caps #RADCAPR and #RADCAPS. Max dia 56mm. Spigot dia 30mm. 26mm high. Thread 5/8" x 24 tpi UNEF. Wenn Sie 2 Meter benötigen, geben Sie als Anzahl '2' ein.